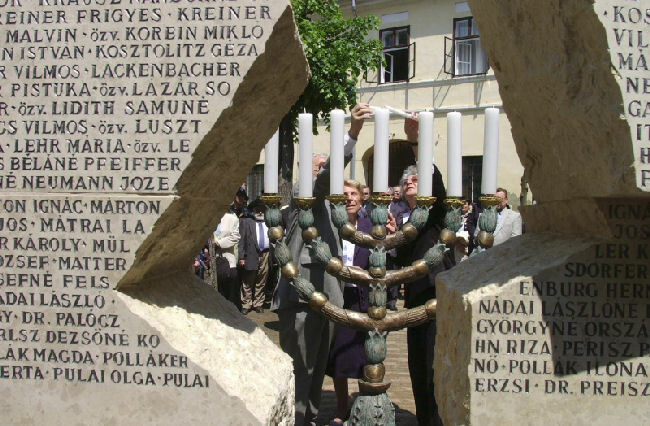 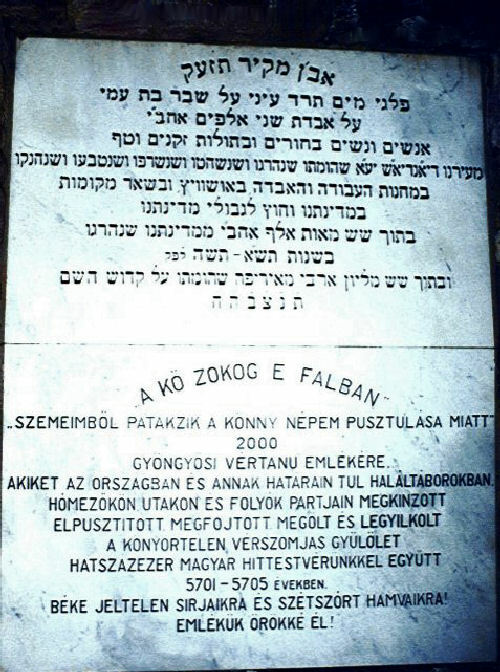 This Holocaust Memorial is located in a plaza behind the Dohany Street Synagogue in Budapest (the largest active synagogue in Europe and the second largest in the world). 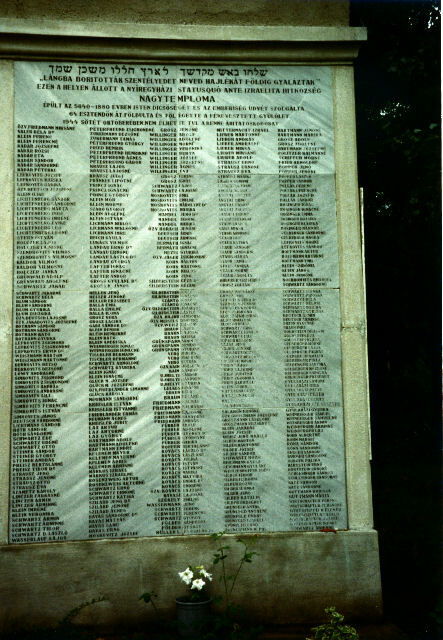 The memorial above, which was designed by sculptor Imre Varge, was erected in 1990. 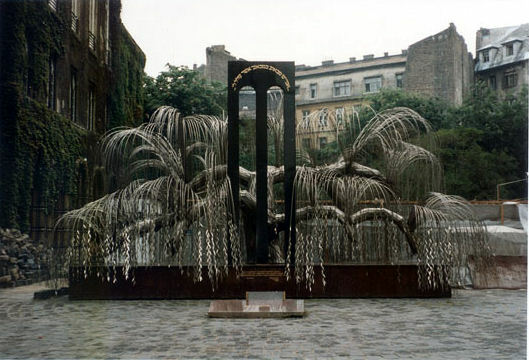 The memorial is made of granite and steel and was made in the shape of a weeping willow tree. 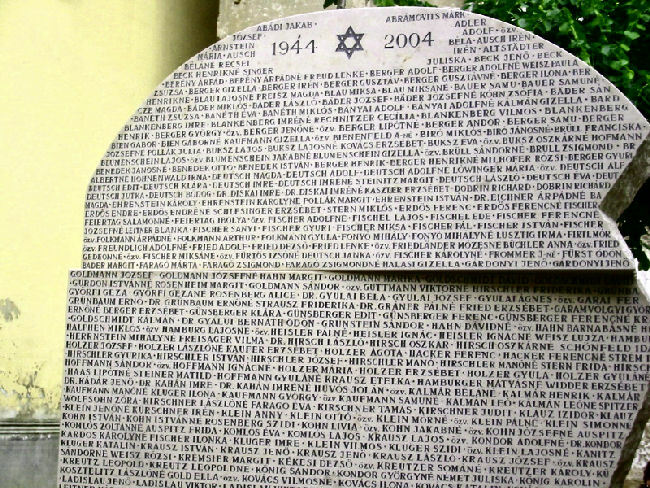 Each leaf contains the name of a Holocaust victim from Budapest. 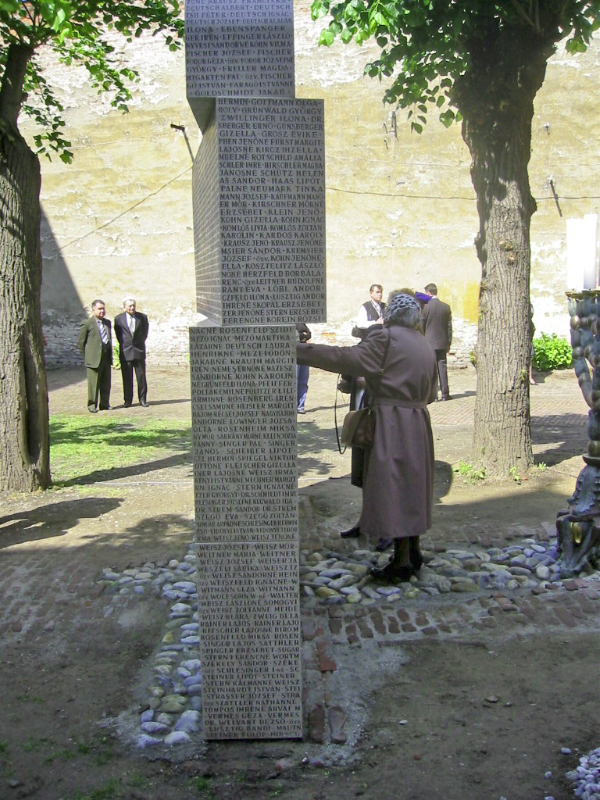 Raoul Wallenberg was a Swedish diplomat who was able to issue thousands of passes to Hungarian Jews which protected them against deportation. 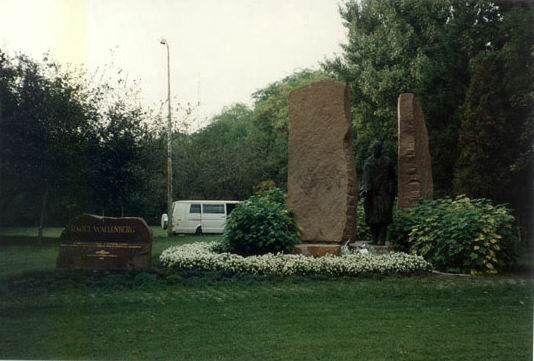 The memorial above the left is the Raoul Wallenberg memorial or monument. 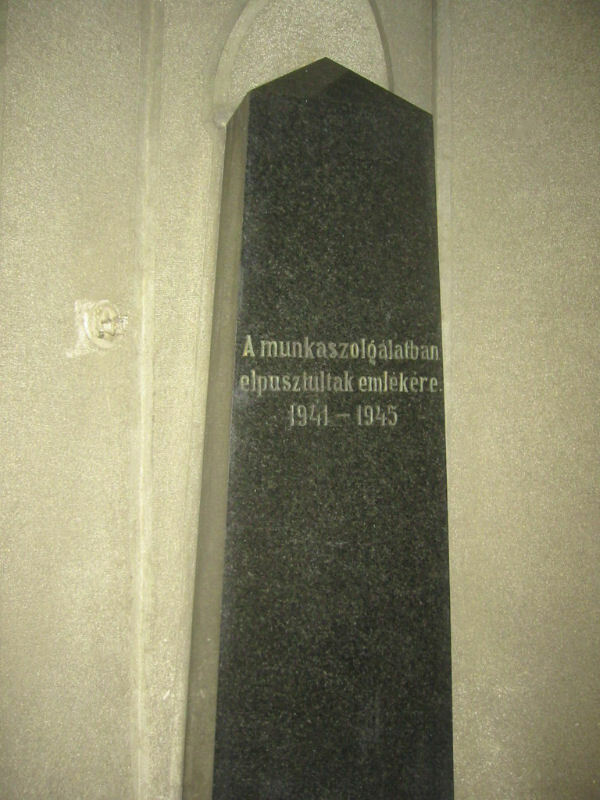 This monument was erected in 1987 in a small park named Szent Istvan Park, with Raoul Wallenberg portrayed between two large stone walls. 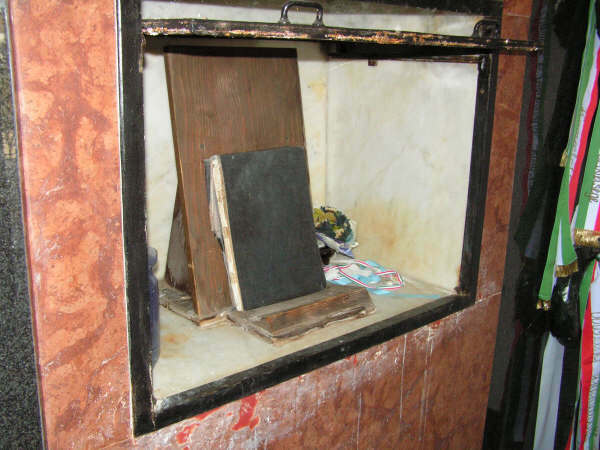 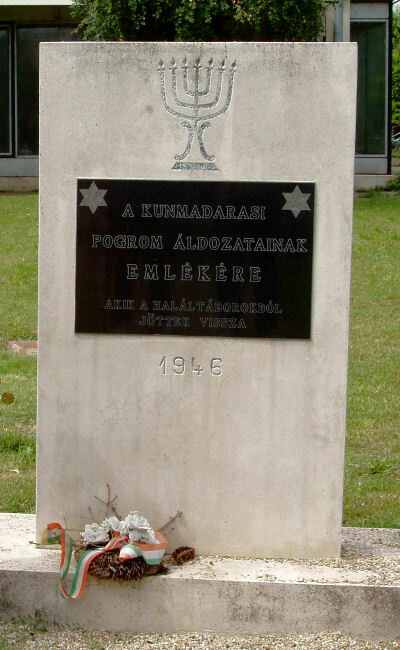 and died a martyrs' death." 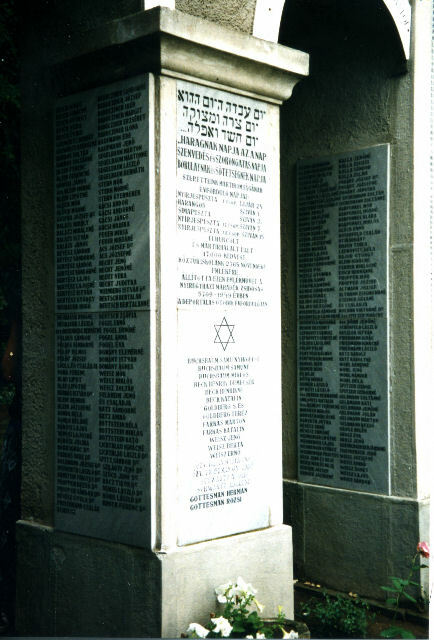 “The stone within this wall weeps. 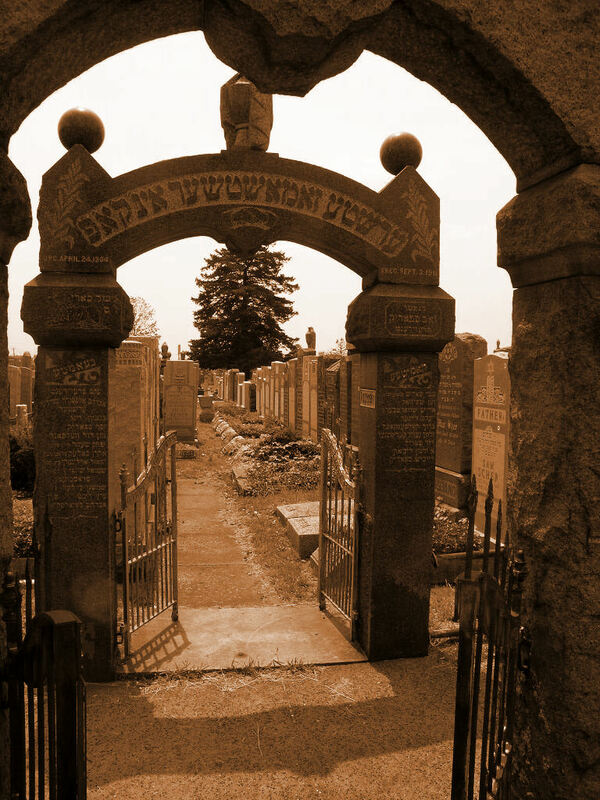 for the devastation of my people. 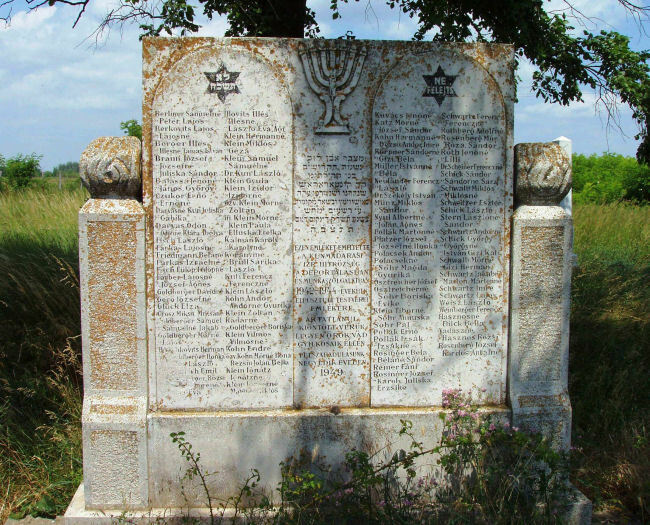 Peace be on their unmarked graves and scattered ashes! 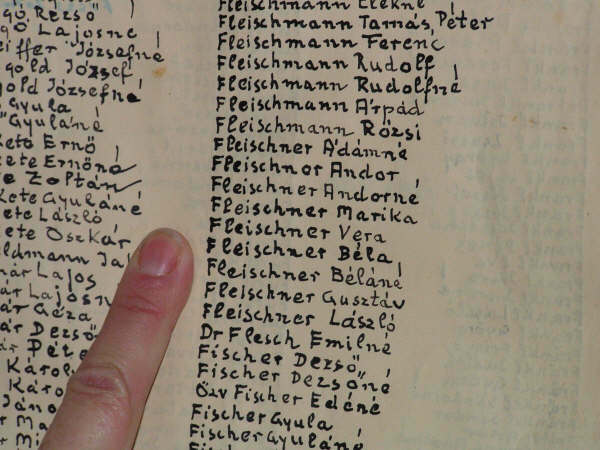 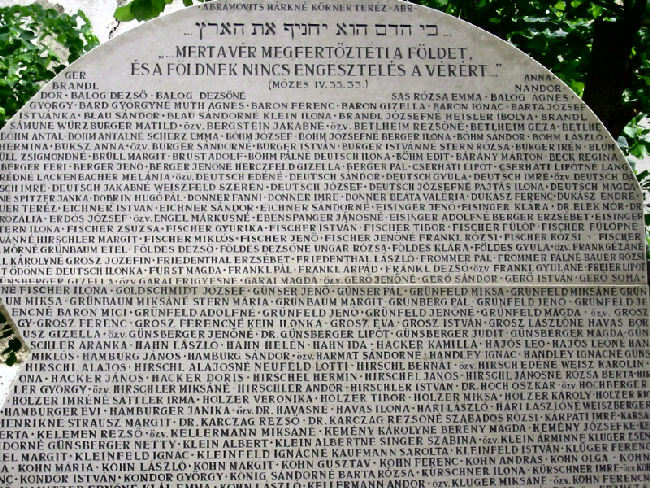 A partial list of the names of the landsleit who were killed in Auschwitz and other camps. 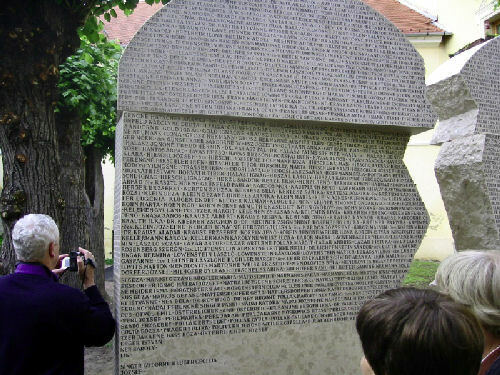 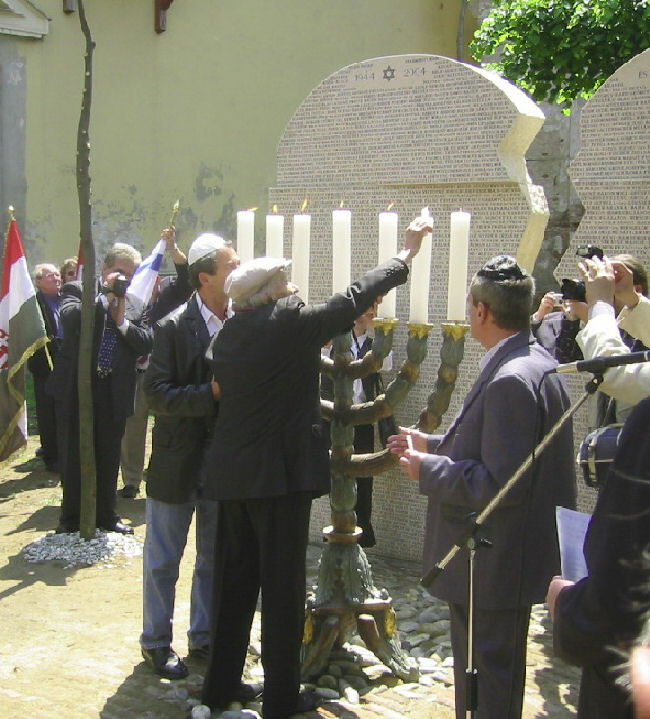 Left: Holocaust memorial, with the names of many of those who were killed during that time. 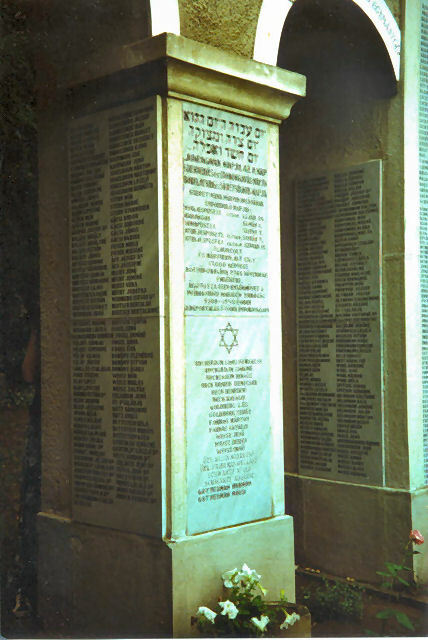 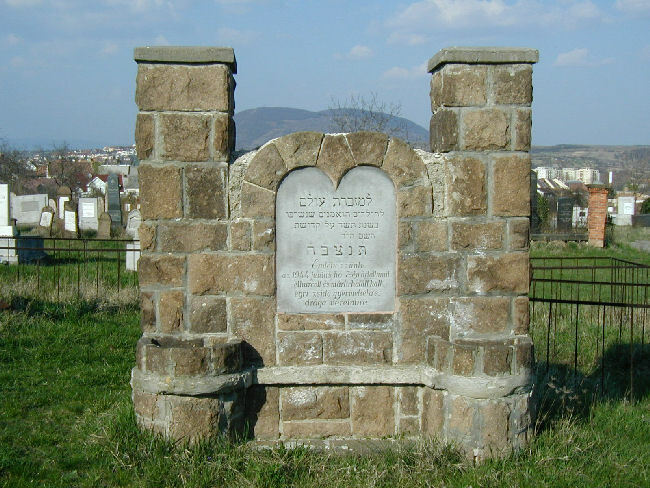 Right: This memorial was erected to honor the many victims of the 1946 pogrom that occurred in Kunmadaras. 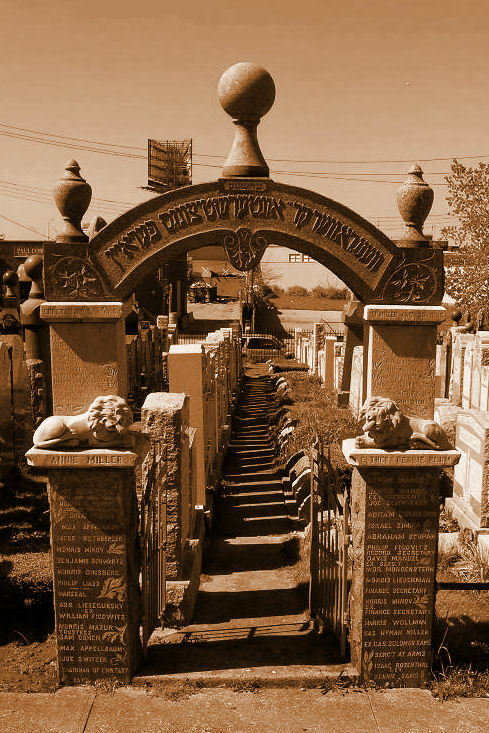 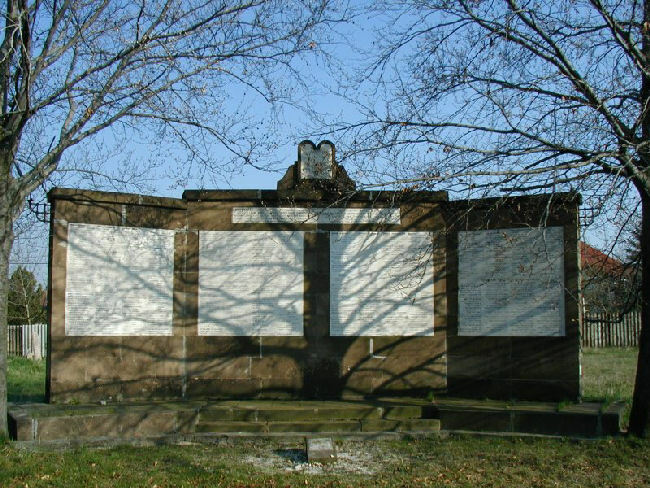 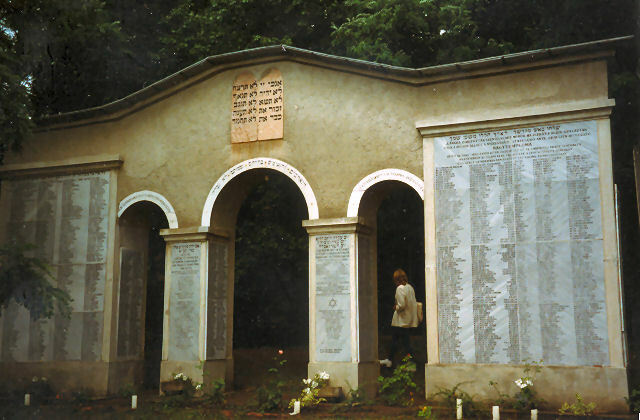 1997 photos of this town's memorial located on the wall of the Jewish cemetery in town. 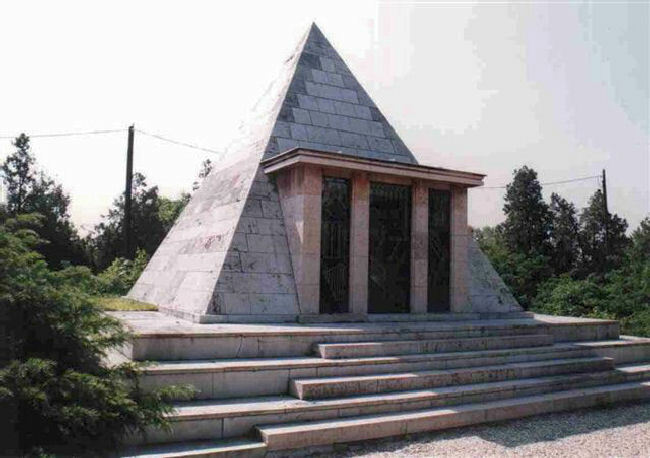 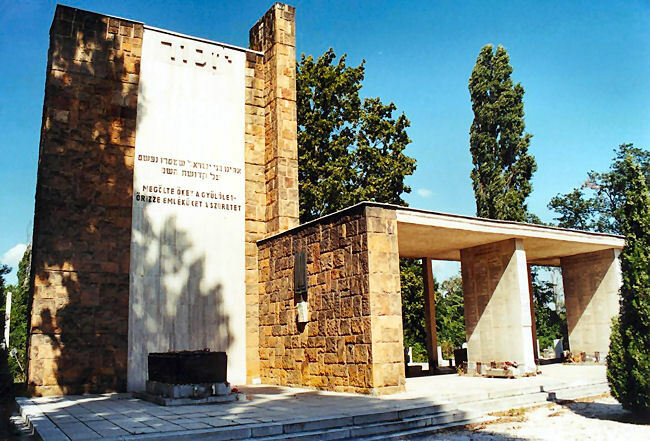 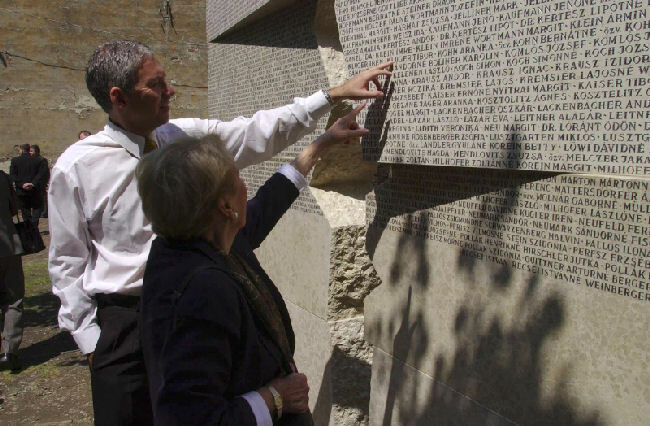 The memorial is located in Szombathely, a town in western Hungary near the Austrian border. 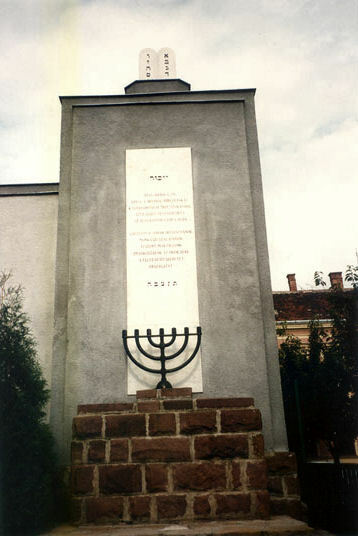 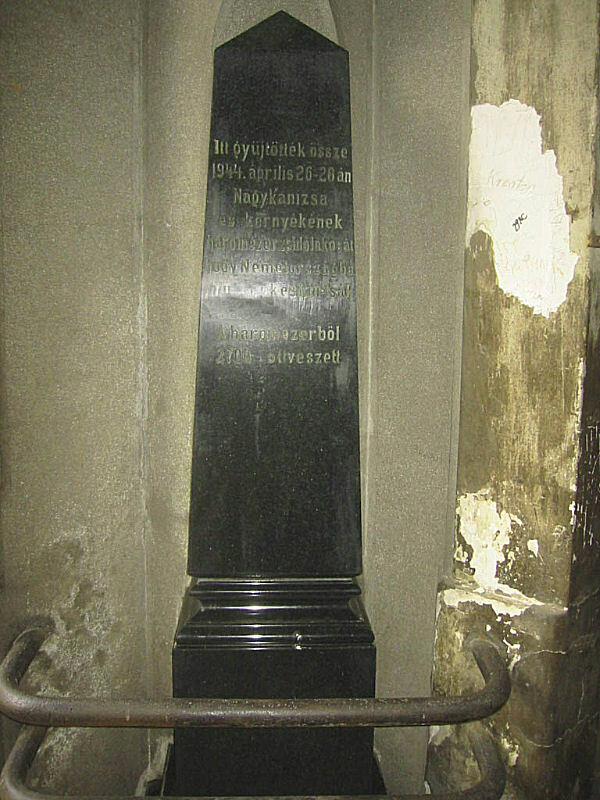 It is on Rakoczi Street, situated next to the former synagogue (now used as a concert hall.) 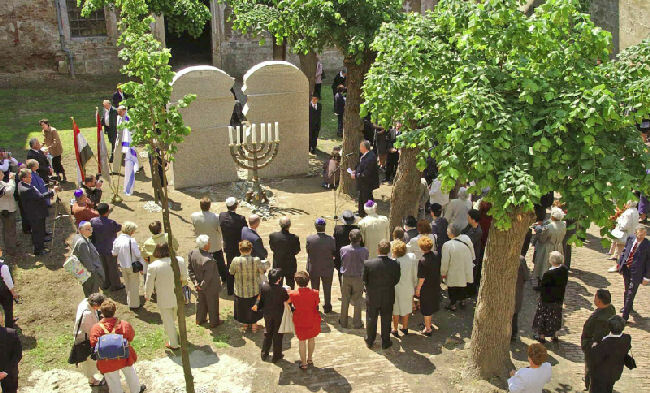 More than 4200 Jews once lived in this town and its surrounds before World War II began, but most all were sent to Auschwitz.